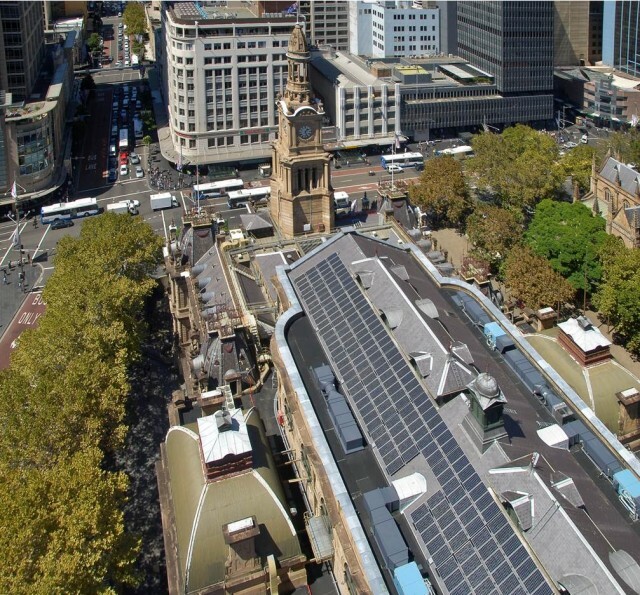 Despite ongoing uncertainty around Australia’s Renewable Energy Target (RET) it seems that both the Melbourne and Sydney City Councils are remaining steadfast in their resolve to radically reduce the cities overall carbon emissions over the next five to ten years. The two largest Australian cities are set to achieve this through a combination of increasing renewables and switching to lower carbon intensive energy sources, as well as designing more energy efficient buildings, using LED lighting systems, installing solar panels, and an increased focus on urbanisation. Melbourne is aiming to reach zero net emissions by 2020 and for the municipality to be sourcing 25 per cent of its electricity from renewable energy by 2018 – a goal that the Council stresses will only be possible through working collaboratively with business, government and research groups at the local, business and government levels. In the long term, the City would like to see all of its electricity derived from renewable sources. “We are aiming for 25 per cent renewable energy for Melbourne by 2018,” said City of Melbourne Councillor Cr Wood. “This is an ambitious target but with commitment to alternative sources such as wind and solar in particular, this target is within reach. Meanwhile in Sydney, the City of Sydney is aiming to cut its carbon emissions by 70 per cent by 2030. The City is replacing street lights with LEDs, retrofitting buildings for water, waste and energy efficiency and installing solar across its buildings. The City of Sydney’s renewable energy master plan shows how 30 per cent of the city’s electricity can come from carbon-free energy such as wind and solar power, and 70 per cent from trigeneration using renewable gas from waste. Both Melbourne and Sydney City Councils are strong supporters of the Renewable Energy Target and have said that their emission reduction goals will be more difficult to achieve were the RET scrapped by the Federal government. Sydney’s Lord Mayor Clover Moore takes a similar view, noting that foot-dragging at the Federal level will not dampen her own Councils resolve. “It’s much better if the national government is also committed to taking action on climate change,” she said. “I think it’s really incumbent upon city leaders to commit to taking this action and follow through on it,” she said. Owing to the disconnect between levels of government, she says, cities are forced to “go it alone” on environmental issues. “Actions of cities can have a flow-on effect to the rest of the nation,” she said.